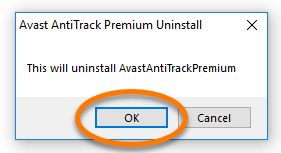 In rare cases, Avast AntiTrack Premium may fail to detect and block tracking attempts. 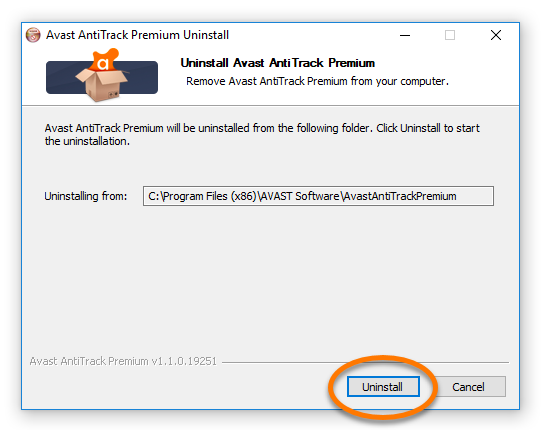 If you experience this issue, we recommend fully uninstalling and then reinstalling Avast AntiTrack Premium by following the steps in this article. 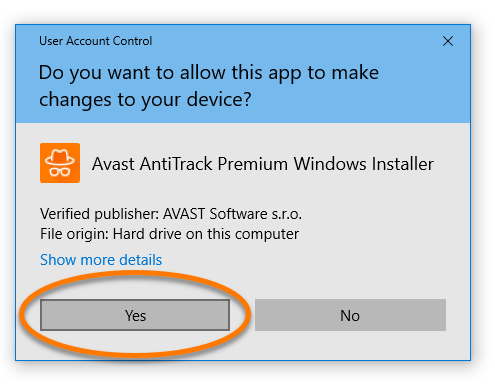 If, after updating your browser, Avast AntiTrack Premium stills fails to detect and block tracking attempts, then follow the steps below. 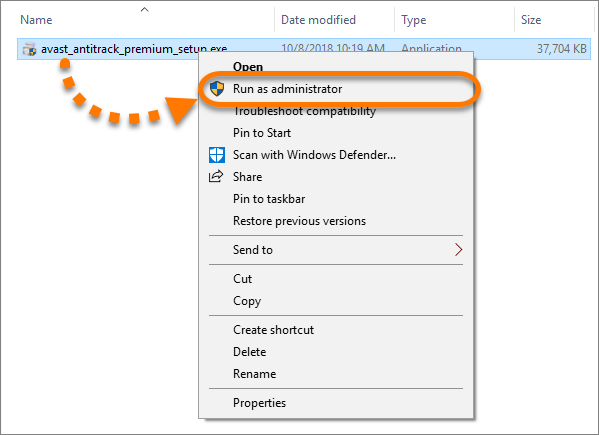 Right-click the downloaded setup file and select Run as administrator. Click OK to confirm uninstallation. 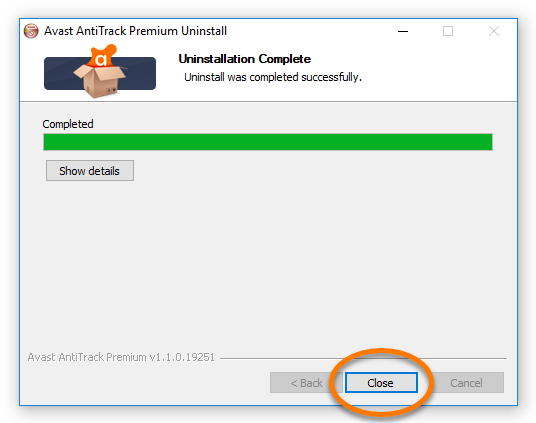 Click Cancel to stop the immediate reinstallation of Avast AntiTrack Premium. Open File Explorer and enter C:\Program Files (x86)\AVAST Software\ into the address bar. 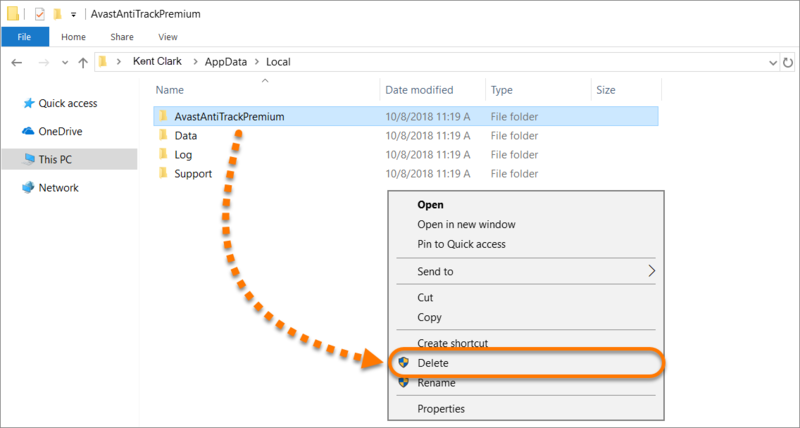 If you see the AvastAntiTrackPremium folder in this location, delete it by right-clicking the folder name and selecting Delete from the context menu. 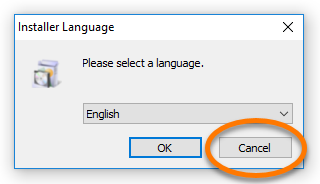 Enter C:\Users\your_username\AppData\Local\ into the File Explorer address bar. "your_username" refers to your Windows Username. You can find this by opening the Task Manager and selecting the Users tab.